Ships today if you order in the next 11 hours 32 minutes. Vitamin E can be found in a number of foods, including avocados, cooked spinach, broccoli, nuts and seeds, and fish. It provides a number of health benefits, including helping to clear and revitalize your skin and improve your overall heart health. 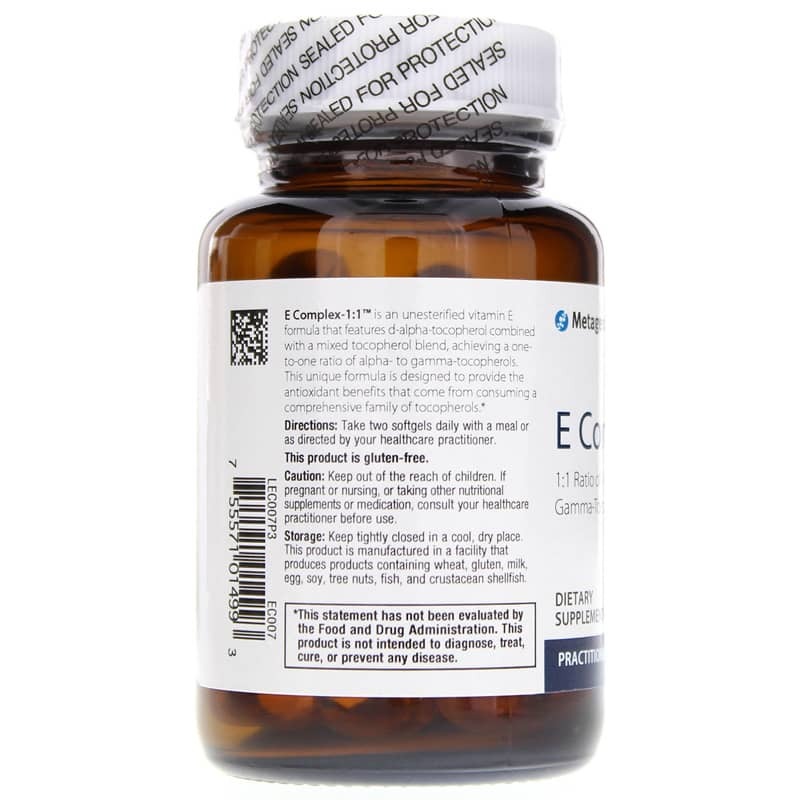 E Complex-1:1 from Metagenics contains a blend of gamma, delta, and beta-tocopherols, along with 400 IU of vitamin E (as d-alpha tocopherol) to support optimal overall health and wellness. Make the choice to improve your overall health, including the look of your skin. 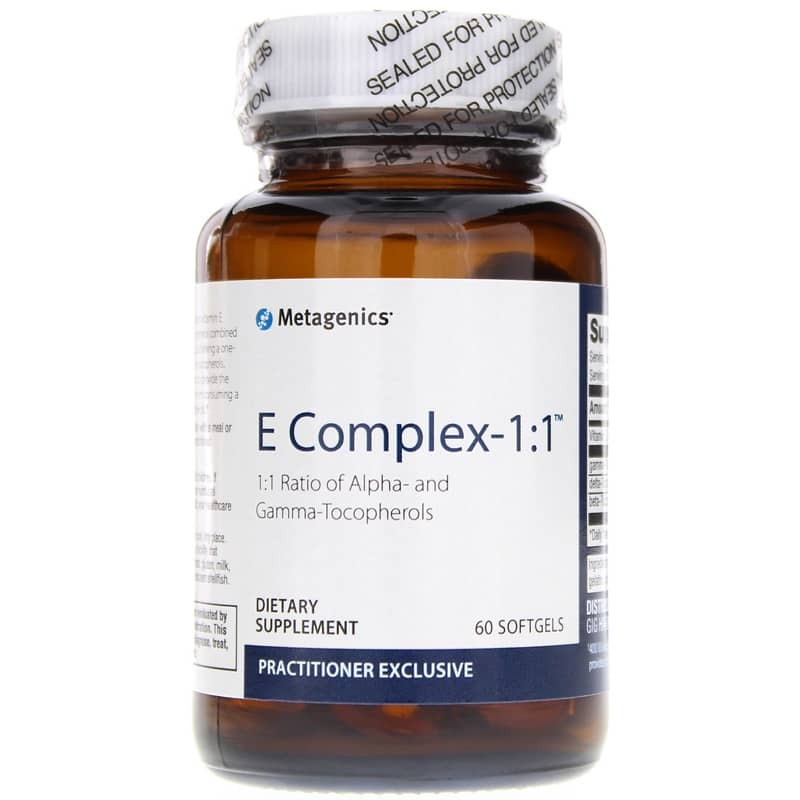 Choose E Complex-1:1 from Metagenics today and see the difference it can make in your health. Order now! Ingredients: mixed tocopherols, d-alpha tocopherol, gelatin, glycerin, soybean oil and water. 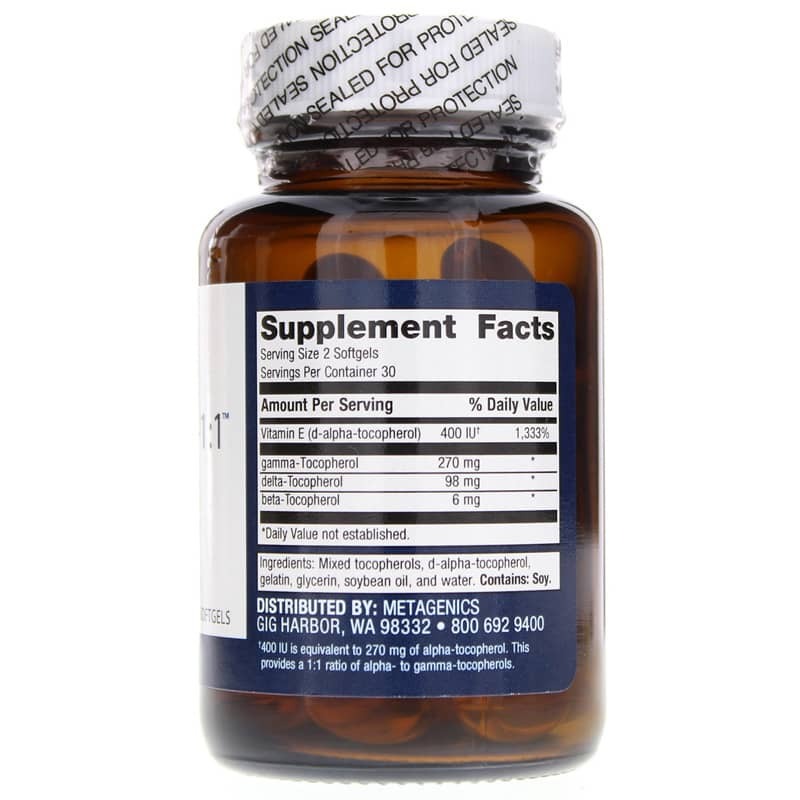 Adults: Two softgels daily with a meal or as recommended by a healthcare professional. If you are pregnant, nursing or taking medications or other nutritional supplements, please consult your healthcare professional before using this product. Keep out of the reach of children. It was recommended to me by my Acupuncturist. It has mixed tocopherols.. This product is free of magnesium stearate. I take it with life Extensions Bilberry( NON GMO)Extract for eye health.